I have just uploaded another hot-off-the-presses article at EzineArticles.com. This article is in celebration of the upcoming April Weird & Wacky Holiday, Teflon Day. In it I share some simple ideas to make your business as easy as Teflon. Come on over for an informative read and share it with your fans. Better yet, sign up for the RSS Feed and grow your business savvy with Ginger Marks’ sage advice filled articles. 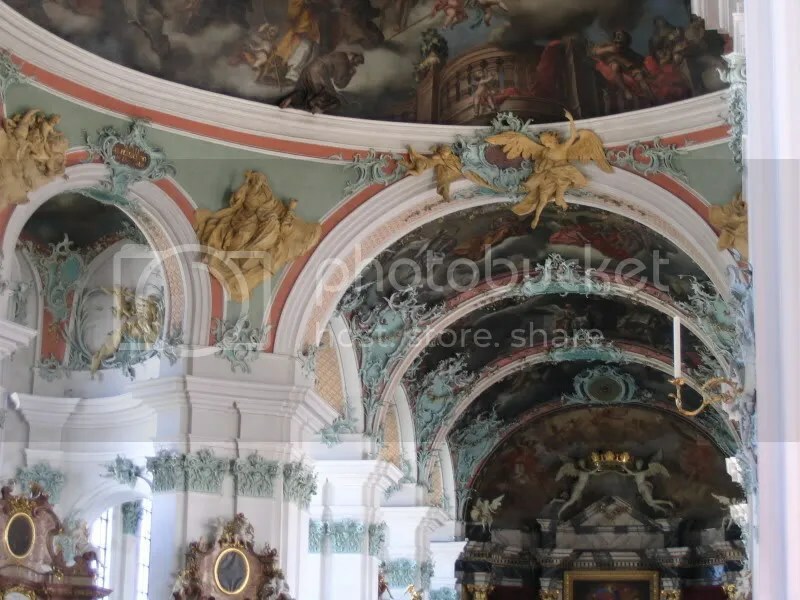 While in St Gallen we toured the catholic cathedral which was also Baroque in style and extreemly ornate. It was amazing to stand under the painted ceiling and realize this was not a photograph. One of the first things I noticed was that in several places in the ceiling round the feet of some of the characters protruded out of the painting, as you can see in the photo. However, the photo just doesn’t do it justice. It is something you must see for yourself. The tour guide who came through said there were two clocks in the church, but one was all I ever found. The next day, Philip and I went to Davos, Switzerland. Philip told me it was world famous so I expected more than we saw. However, the train trip was worth the whole day’s tavel. Not only did we discover a stupendously awe inspiring area of Switzerland between Sagas & Weesen, but we met a man who was from Basel that had his PhD in Biotechnology. He worked with the city of Basel to bring Biotech companies to their city. It was a perfect opportunity to introduce him to GERON and Philip had an intellegent conversant. I couldn’t have been more pleased. Top Internet Marketers from around the world will meet for the second annual Audio/Video virtual networking mixer on October 22, 2007. The virtual meeting room holds over 100 and the founders expect a record turn out. All serious Internet Marketers are welcome to attend. October 5, 2007. Top Internet Marketers from around the world are gathering for the WINning Sisters’ bi-annual virtual networking mixer slated to take place October 22, 2007 from 5:00 pm to 9:00 pm, Eastern Standard Time at http://www.businessandlearning.com/expo in the Hot Conference room owned by Tammy Munson of Business and Learning. Every day thousands of entrepreneurial minded people start businesses and each year nearly 40% of those businesses will fail. The secret of those that thrive: Become a “real” business owner, not a hobbyist that plays “store”. The host of this event is the WINning Sisters of RYZE, founded by Ginger Marks of Clearwater, Florida. It is a non-profit organization dedicated to the success of others in business and relationships within the online business network and beyond. The Sisters are an offshoot of the Ryze’s Women In Networking Group (WIN), owned by Leslie Freude, with over 1,660 members. Today, the program hosts over 150 members worldwide, and their numbers are growing daily. All serious Internet Marketers are welcome to attend their Fall F.L.I.N.G. (Fabulous, Lively, Innovative, Networking Gala!) whether male or female, young or old. Among the scheduled events will be an informative presentation given by feature speaker Sally Rogers, owner and founder of www.SisterWoman.com an international online network base for women entrepreneurs. Her topic will be Lost and Found: Finding Your Way Back to You After Kids and Marriage. Over $1,500 in door prizes and games with valuable gifts will keep things energetic and upbeat. The Grand Prize is a three month advertising package donated by Rima McDonald of Women’s Online Magazine (WOM), http://www.womensonlinemagazine.com/. Their online audience on a monthly basis consist of more than 10,000 women from the age of 30 to 55 years, around the world. 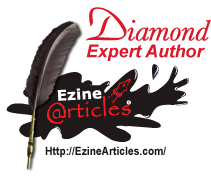 To receive your FREE Words of Wisdom e-newsletter and claim your Free Welcome Gift of a Useful Keyboard Symbols & US State Abbreviation List visit DocUmeant Look for the red bordered box on the left sidebar.